The deal between Extell and City Point developers Washington Square Partners and Arcadia Realty Trust reportedly took a year to complete. Extell will technically be leasing the site, but will have the option to buy in a few decades. As part of the deal, they must build a four-story, 60,000-square-foot shopping center that Washington Square and Arcadia will own. 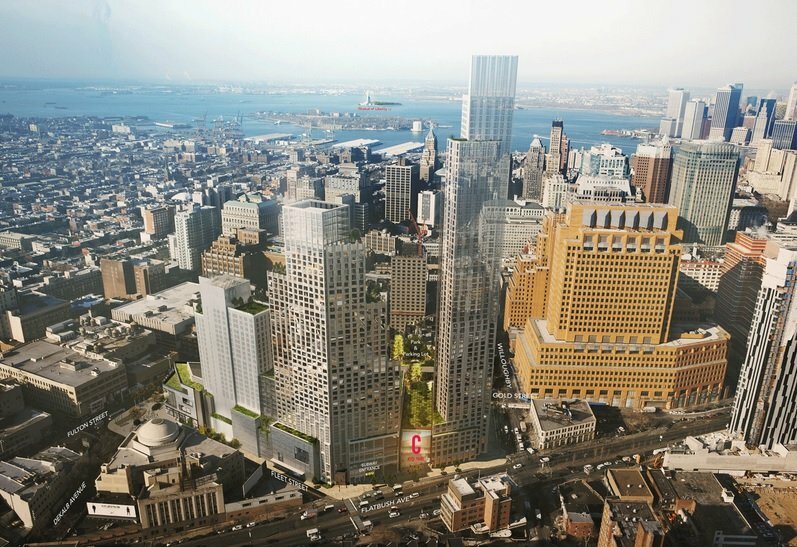 The retail component, likely to open in 2017, will serve as the base for the residential tower, which could break ground by the end of this year and open in 2019. Zoning does allow for Barnett’s planned 60-story height, but the proposal will still have to go through the neighborhood and city review processes.